When was the last time the fifth instalment of a blockbuster franchise marked a noticeable uptick in quality? With the exception of Fast 5 (yes, really), most franchises are dead in the water and/or creatively bankrupt by the point a fourth sequel is commissioned. And given the plodding, confusing efforts the Pirates of the Caribbean franchise has churned out in the wake of its hugely successful original, you’d be forgiven for looking upon this belated entry with a cynical eye. And yet, against all expectations, Pirates of the Caribbean: Salazar’s Revenge (Dead Men Tell No Tales in the US) is hugely enjoyable. In fact, it’s the best Pirates movie since the original. The plot is mercifully straightforward. There’s another supernatural McGuffin (Poseidon’s Trident), everyone’s looking for it… and that’s it. There are no love triangles, no overly elaborate back-stories, or convoluted forays into pirate culture, and, by my count, only one double-cross in the entire film! 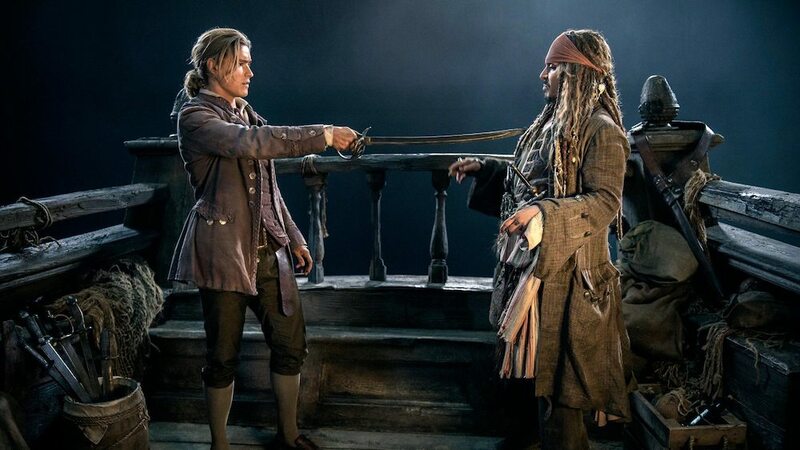 Directors Joachim Rønning and Espen Sandberg are wise to retain only a few key figures from the previous entries, with Captain Jack Sparrow (Johnny Depp) and Captain Barbossa (Geoffrey Rush) the only real carry-overs. Always the two most entertaining of the ensemble, Barbossa arguably outshines Captain Jack these days. The ever-present twinkle in his eye is a constant delight, and he’s even gifted with a genuine emotional storyline of his own this time around. The stalwarts are joined by a few young newcomers in Brenton Thwaites’ Henry Turner (son of Orlando Bloom’s Will), and Kaya Scodelario’s Carina Smyth, a fiercely intelligent young woman who’s passionate about science, but whom society keeps suppressing. After all, what could a woman so interested in science possibly be, other than a witch? Plot simplicity aside, what’s key to this sequel’s success is recapturing the sense of fun and adventure that the original boasted. 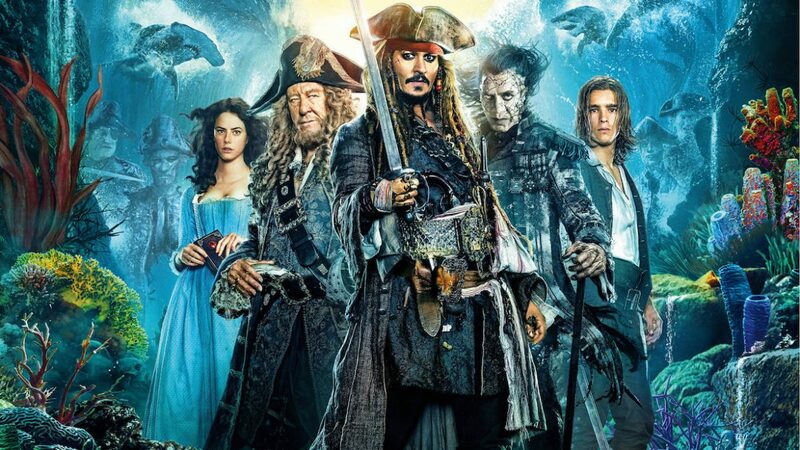 For such a giddily enjoyable film, Pirates of the Caribbean’s sequels all missed the point spectacularly, only fitfully remembering to actually entertain. But that’s not to say Salazar’s Revenge is all laughs — it’s actually surprisingly dark for a Disney movie, especially when it comes to the titular villain. 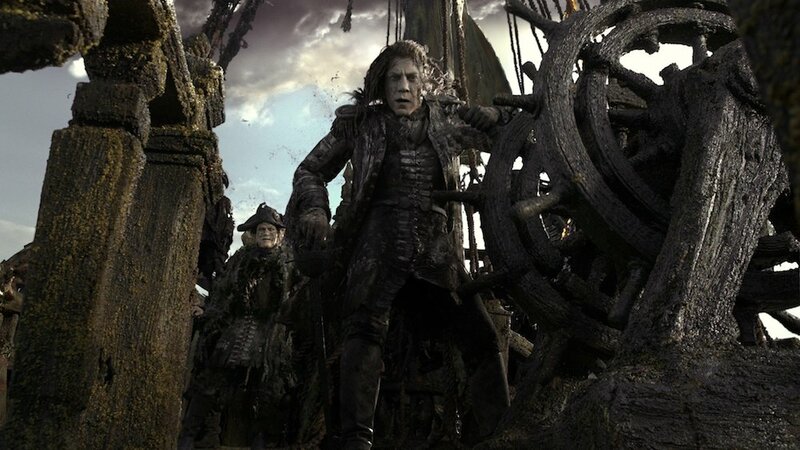 Salazar and his undead crew may be a straightforward rehash of Davy Jones and his marine crew, but they’re often chillingly effective, and Javier Bardem adds some gravitas to proceedings. Even if his dialogue is sometimes difficult to make out. And yet, despite that darkness, Salazar’s Revenge remains breezy and buoyant. The cartoonish set-pieces are more inventive than the endless, tedious swordplay that dominated the other films. One early sequence sees Jack and the gang rob a bank (literally stealing the entire building), hauling it through streets in a way that flies in the face of all known physics, but that’s undeniably gleeful in execution. 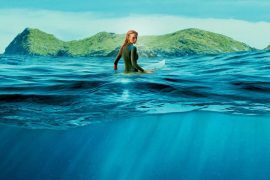 There are plot holes all over the place, but much like it’s rum-addled hero, a few lapses in concentration don’t necessarily detract from its charm. 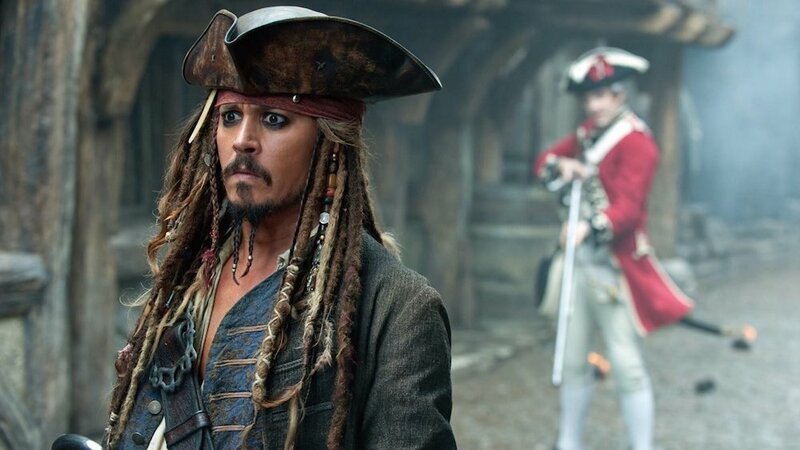 Having said that, it’s difficult to warm to Cap’n Jack as much as we have previously, given certain revelations about Mr. Depp’s personal life in recent years, but his prowess at physical comedy is undeniable. Sparrow’s hapless bumbling remains very watchable. The script by Jeff Nathanson is snappy, funny, and nowhere near as portentous as the earlier films, while the franchise’s music score remains one of the best and most iconic in contemporary blockbusters. The real key to the movie’s success, though, comes from its two newcomers. Both Thwaites and Scodelario are far better than Bloom or Keira Knightley ever were because their characters are infinitely more engaging. Scodelario’s Carina, in particular, is fantastic, offering a far more progressive heroine and a less affected performance than Knightley managed. Her passion for science and astronomy goes up against Henry’s belief in the supernatural (his father’s cursed to Captain Davy Jones’ Flying Dutchman, after all), and their Mulder & Scully dynamic lends the film a fresh beat to play amid the usual hijinks. At the end of the day, Salazar’s Revenge is not particularly revolutionary: it doesn’t traverse new waters, it merely rights the ship. It is, however, jubilantly entertaining, and mercifully shorter than the other sequels. With its two young leads, the franchise gets a much-needed shot in the arm, even as it provides neat endings for most of the existing characters. Put simply, this is the sequel the first movie deserved, and with the new additions proving so successful, there’s certainly a better case to be made for even more swashbuckling antics. Pirates of the Caribbean 6? Shiver me timbers, but one might just welcome it. directors: Joachim Rønning & Espen Sandberg. starring: Johnny Depp, Javier Bardem, Brenton Thwaites, Kaya Scodelario, Kevin McNally & Geoffrey Rush.